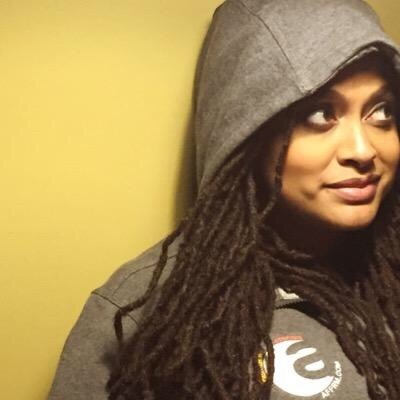 Award-winning film director Ava DuVernay wears AFFRM Rebel Movement hooded sweatshirt. Celebrated film director Ava DuVernay is changing the landscape of Hollywood with the AFFRM Rebel Movement. Last month, writer/director Ava DuVernay had a Barbie launched in her likeness, shared the stage with Meryl Steep at the Women in the World Summit, and visited the United Nations to announce that every high school in America will receive a free copy of her Oscar-nominated film SELMA. That number of accomplishments would be enough for most people to rest on their laurels, but the award-winning director and entrepreneur is continuing her mission of bringing stories of diverse populations to the big screen. DuVernay’s organization African-American Film Festival Releasing Movement (AFFRM) has launched its second annual membership drive to continue its mission of furthering and fostering the work of diverse filmmakers and cultivating audiences for that work. Since 2011, AFFRM‘s Array Releasing has distributed eight feature films by underrepresented filmmakers in theaters and on digital platforms. The 30-day membership drive to help sustain those efforts began on May 4 and will continue through June 5. “We are asking past and new members to add their names to the credits of a movement by becoming 2015 AFFRM Rebels. Our Rebel membership allows film artists and advocates to not just speak about the need for change in the film industry but take an active role in creating artistic diversity,” explained ARRAY’s Managing Director Tilane Jones. To that end, AFFRM Rebels participate in call-ins with industry heavyweights like Gina Prince-Bythewood, Tim Story and rising stars like Justin Simien. They also engage in invitation-only Google Hangouts with industry experts, and have access to special screenings and live events in major cities. Founded by filmmaker DuVernay in 2011, AFFRM is a distribution collective of minority arts organizations dedicated to diverse independent films. AFFRM’s Array Releasing has distributed 8 films to date including Vanishing Pearls, Big Words, Better Mus’ Come, Middle of Nowhere, Kinyarwanda, Restless City, 25 to Life and I Will Follow. AFFRM’s founding organizations include Urbanworld (NYC), Imagenation (NYC), Reelblack (Philadelphia), Langston Hughes Film Festival (Seattle), BronzeLens Film Festival (Atlanta) and DVA (Los Angeles). AFFRM Rebel membership is not free. Many would consider the price of membership in a movement dedicated to bringing black and brown stories to the big screen in greater numbers worth the money. DuVernay who is reportedly being considered to direct a Marvel film, is using her cultural capital to help women and people of color learn about an industry that isn’t always transparent while changing it one rebel at a time. 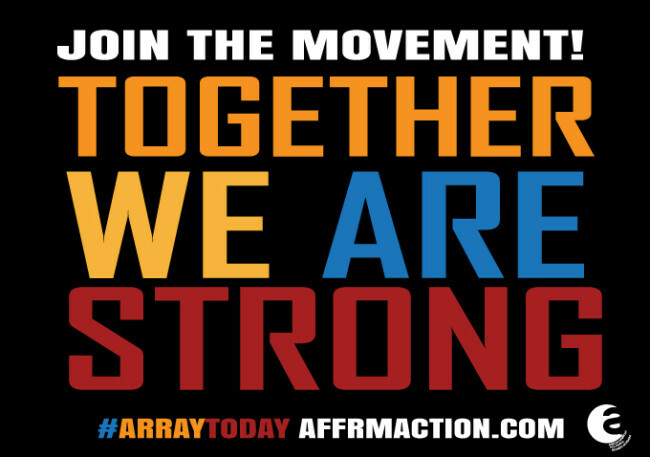 To learn more about the AFFRM + ARRAY movement and Rebel membership, visit www.arrayaction.com. This post was written by Nsenga K. Burton, Ph.D., founder & editor-in-chief of the Burton Wire, an award-winning news blog covering news of the African Diaspora. Follow her on Twitter @Ntellectual or @TheBurtonWire.